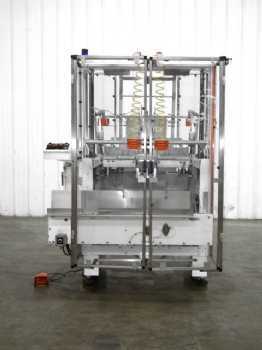 This type of equipment uses a pre-cut tray to lock itself into the correct form. A blank tray is pushed through a former by a platen. 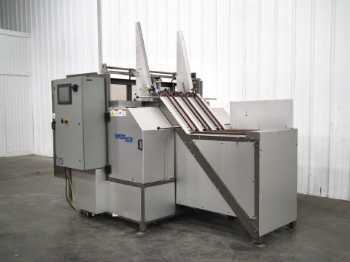 The edges of the tray are folded up by the platen and secured into position by the self-locking tabs.